A very intense, flavor forward, but interesting liqueur. Notes: Frankly this is not a product I would have bought at a store if I heard of it in passing. Most “Root Beer ” alcoholic products I have come across in the past inspired contempt if not outright loathing after tasting them. It did not as a concept sound promising till we did some digging into it’s background and were able to set aside past experience. An interesting liqueur that arguably is one of the few liqueurs that has true American origins. Inspired and based on Root Tea which was a decoction of herbs that our forefathers learned to make from Native Americans, it would in its day be considered a tonic. While there is some argument as to whether the preparation was alcoholic or to what extent – many of the herbs used are best extracted in alcohol – not to mention the use of alcohol to as both a sterilizing agent and inducement for someone to drink their medicine. 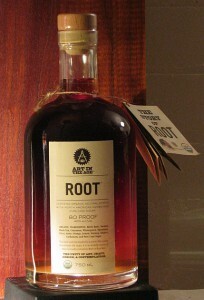 This is a 80 proof variation on the original root tea. 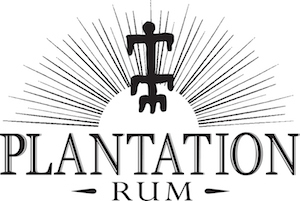 One of the few certified organic liqueurs in the United States in a sector of the drinks trade that otherwise seems to swim to the bottom when it comes its willingness to use cheap chemicals, sweeteners and artificial colors. Using organic ingredients and organic sugar cane as a base, with no artificial colorings of preservatives it seems to be for people with taste, conscience, and concerned about what they are introducing to their bodies. Appearance: Light even coating on the glass with legs and droplets forming. First Impression:They seem to have captured the smell of a great birch or root beer spot on. Quite impressive feat. Alcohol while present is in the background, very much subdued and behind the heady scent of all the other organic spice ingredients. Taste: A entertaining mix of sweetness and intense herbaceous ness with hints of alcohol provides a kaleidoscope of flavors vying for attention. Vanilla, anise, cardamom, seemingly the entire nutmeg spectrum (nutmeg, allspice, mace) cinnamon, varieties of mint, citrus, a spectrum of flavors. Black tea and a few other herbs balance out the sweetness and keep it in check without making it overly bitter. Very smooth with a medium body and mouthfeel and a pleasantly long finish. Drinks: They have some very creative and well thought out recipes on their webpage. Think of it more like a Chartreuse or Benedictine equivalent (for mixology) rather than a root or birch beer and you may have more ideas for cocktails. We had some fun making a Bronx variant with it swapping out the vermouth for Root which brings up another possibility- try using it instead of vermouth in some recipes- such as a Blood and Sand or playing with Scotch. Bottle: Clear glass apothecary type bottle with rounded shoulders and heavy glass foot to bottom. Clear neck wrap and a composite cork (better seal if a touch unromantic) with a wooden top with their logo carved on the top . 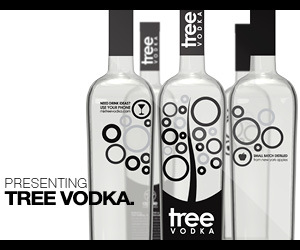 Final Thoughts: An excellent product with a very green and healthy approach to liqueurs. Given the proof (3 or 4 times many other liqueurs or low octane schnapps and infinitely better tasting) and amounts that you will use due to its intensity – it actually works out to be a helluva steal for what you get. It is a very interesting (if a touch challenging) and well made liqueur that not only tastes great but is fun to work with. Quick-loading webpage with plenty of information and drinks recipes.